In medium bowl, melt chocolate chips in microwave for about 2 minutes. Stir in corn syrup, rum, crushed wafers, and ground nuts. 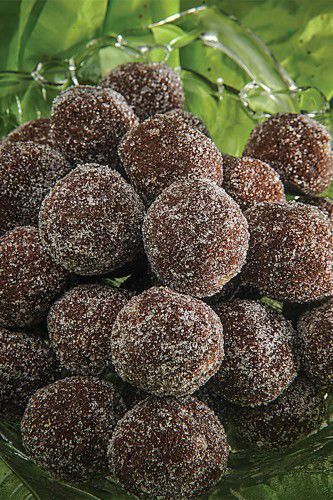 When mixture has cooled to room temperature, roll into 1-inch balls and then roll balls in granulated sugar to coat. Store in airtight container. Makes approximately 75.